OSEC provides a pragmatic, capability-driven, cost-effective and where needed, innovative Engineering Service. Our Engineering Services are through life and can be performed functionally in the concept and assessment project phase or physically in the demonstration, manufacture and in-service phases of a project. Our unique combination of highly experienced, security cleared, technical staff, that are familiar with working alongside both military and the OEM, provide engineering expertise to support projects. This enables us to provide comprehensive technical services that customers can rely upon. With our detailed understanding of a wide range of equipment we are able to deliver robust engineering outputs and decisions that benefit the user and in turn our customers in a wide range of engineering activities. Our engineers conduct contractor liaison and input into the development of intrinsic Integrated Logistic Support (ILS) and Reliability & Maintainability (R&M) elements and have the experience of bringing together all the aspects of a project and the design to determine the optimum maintenance concept. A key area of the ILS and R&M analysis is the Ease Of Maintenance (EOM) element. Our engineers can support the product designers by providing maintenance subject matter expertise to the design team and also provide a service for the physical test of the design, in terms of maintenance, during the demonstration phase. A well prepared MTA will also provide critical input to support and address the needs of other ILS elements, such as training and technical publications development. The MTA is critical to the success of the support solution. The MTA element of the project can be time consuming and is often overlooked or not carried out to the level of detail required. The disregard for this function leads to equipment not being supported and ultimately not being available to the end user. We can also develop the existing maintenance concept further by studying the baseline system and by using either physical or functional MTA so that the skills, tasks and tools can be further defined or confirmed. As part of the assurance process it is important that the end user is confident of the support arrangements for the equipment. Our team can organise and execute a block Logistic Demonstration or progressively assure different elements of the support solution as the project progresses. We have a team of field engineers who can deploy to anywhere in the world at short notice. Our engineers are experienced in operating in hostile environments. 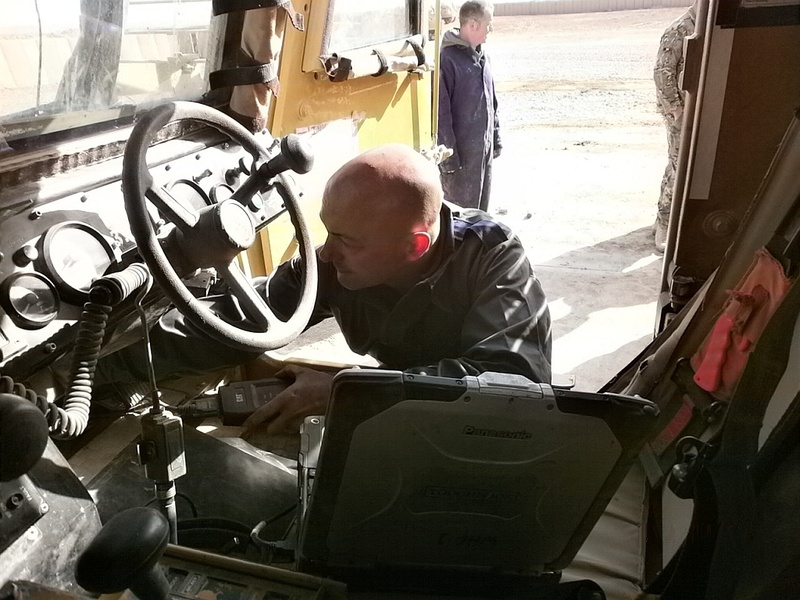 Our mobile team specialise in the inspection, modification, maintenance and repair of a wide range of equipment, including tracked & wheeled vehicles, UAVs, generators and x-ray equipment. We regularly carry out ‘On-Site’ failure diagnosis using the latest state of the art test equipment and also carry out ‘root cause investigation’ thus allowing a completion of the repair by our fully qualified engineers. We have a broad experience on many defence and commercial projects and a proven reputation for ensuring the optimum Support Solution is achieved. We can provide expert advice and assistance to tests & trials and ensure they support the Defence Lines of Development (DLODs) desired outcomes. We can develop processes, guidelines, plans and templates and provide planning and coordination, to meet the customer’s requirements. Our engineers can also deploy ‘on the ground’ in support of the trial activities to ensure that the planning is fully executed.